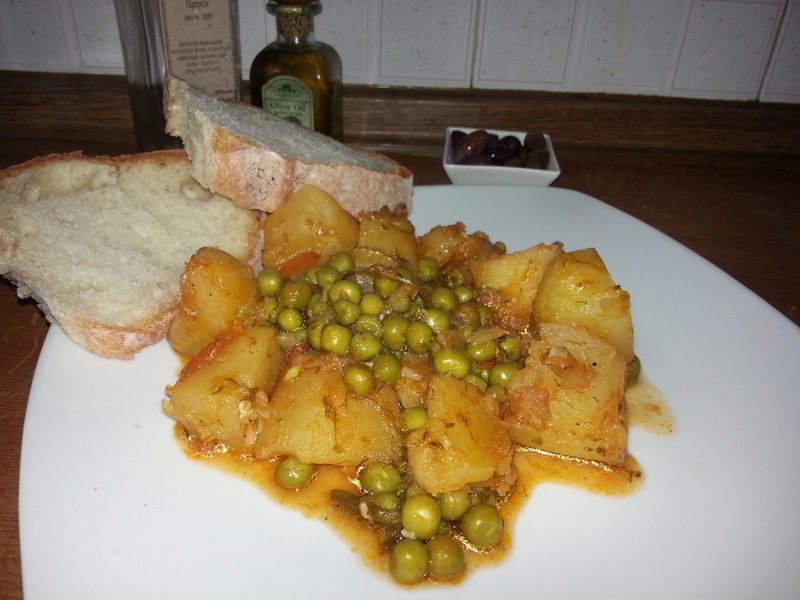 Peas with potatoes in red sauce, this is a dish I learned here in Greece after eating it at a local tavern. A very simple recipe yet filled with nutrients and you can even call it a comfort food. 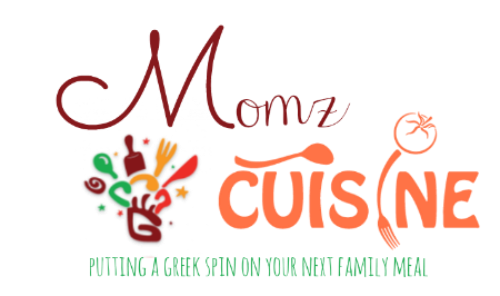 I bet when you think of peas, a side dish comes to mind, but when you're Greek, like me ;) peas can be a main entree at your table. 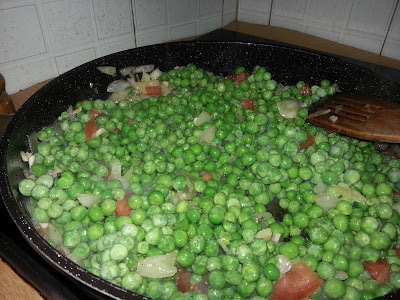 Peas are very healthy when raw but they are just as healthy when they are cooked. 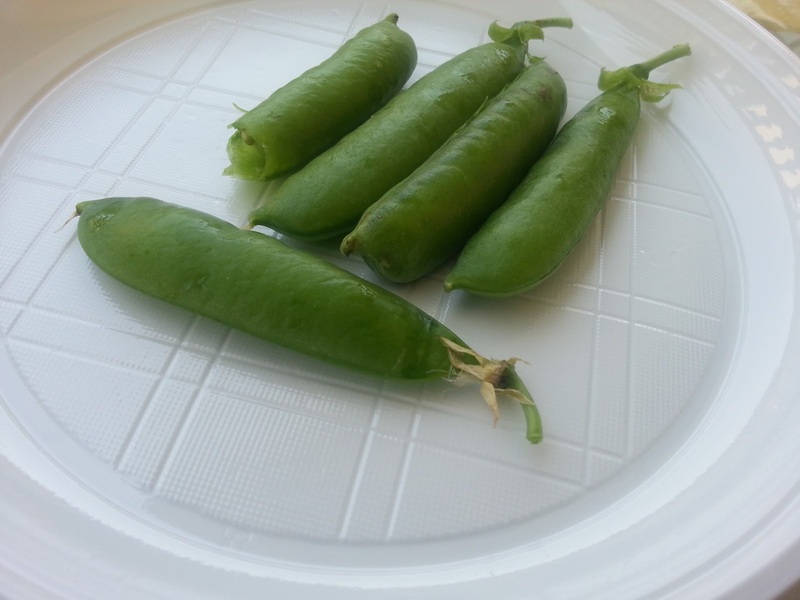 Did you know that a cup of peas has less than 100 calories but is packed with fiber, proteins, iron and micronutrients. No wonder most people in the Mediterranean live to be 100 or so. They knew what healthy living was all about. When using fresh peas make sure you shell them right before you cook them, fresh peas should be cooked in less than 3 days when shelled. I remember when I was a child my mom used to buy a bag for $1 from our local grocery store and I used to eat them the same way I ate potato chips. I loved that crunch in my mouth! 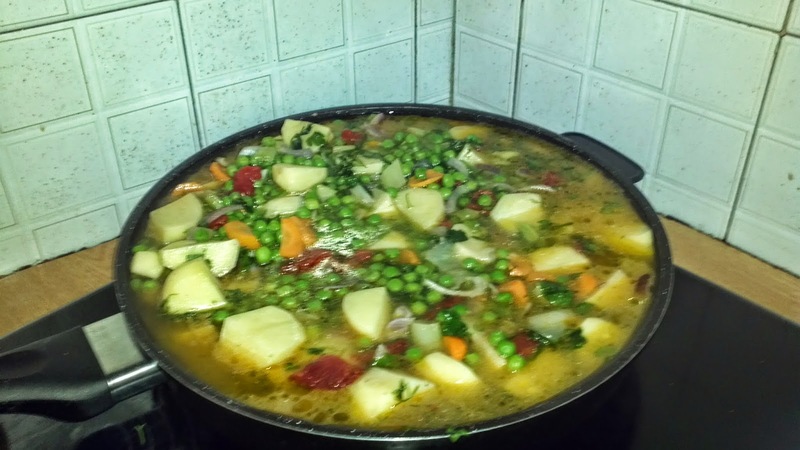 Peas and potatoes a.k.a Arakas Kokkinistos me patates can also be made with lemon instead of tomato paste and if you like you can even omit the potatoes and just have the peas. Either way it's a scrumptious dish for the whole family!! In this recipe I used frozen peas but if you have fresh ones it will make it taste even better. Just a small tip, you need bread for this recipe! 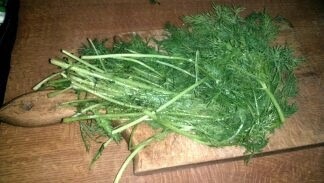 You can shop for your ingredients right here through my links, no need to go outside. 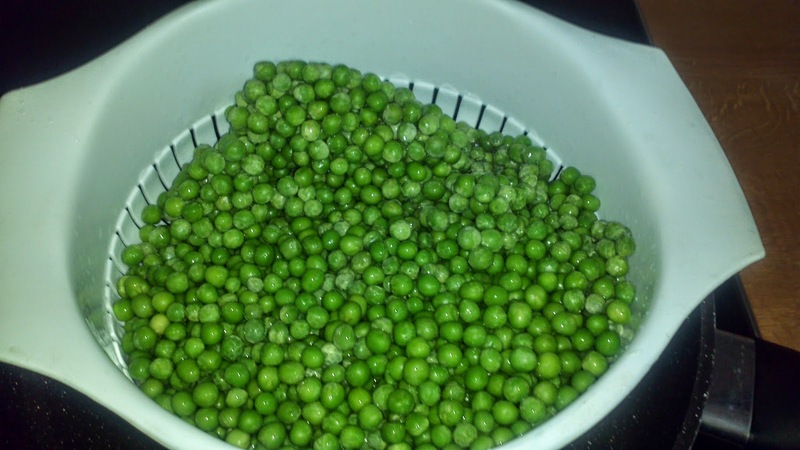 If you use frozen peas, place them in a colander and rinse very well. 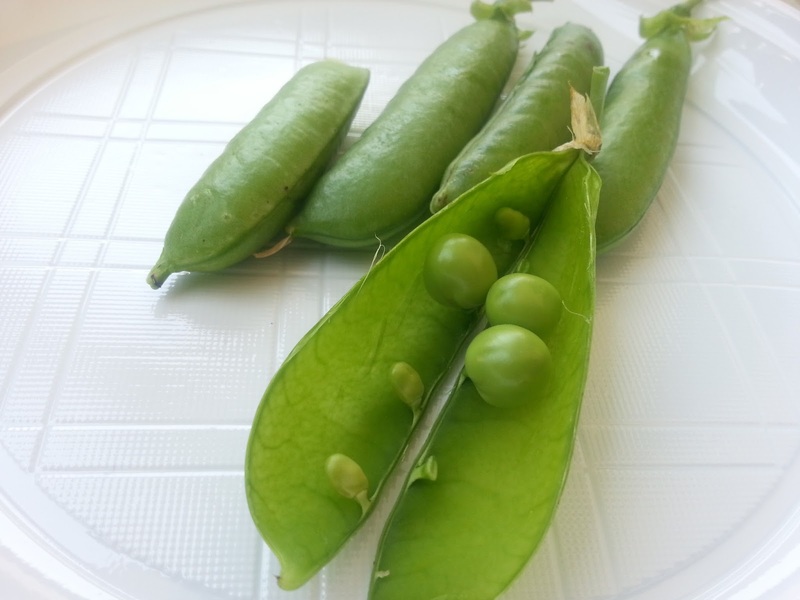 Make sure the fresh peas you choose are pudgy , round and bright green. To clean fresh peas. Snap off a small piece from one end as seen in the picture. When you snap it off you will see a green string, pull it all the way down, press the seam with your fingers and it will pop open. 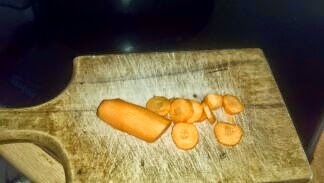 Using your finger, run down the pod and the peas will start rolling out. 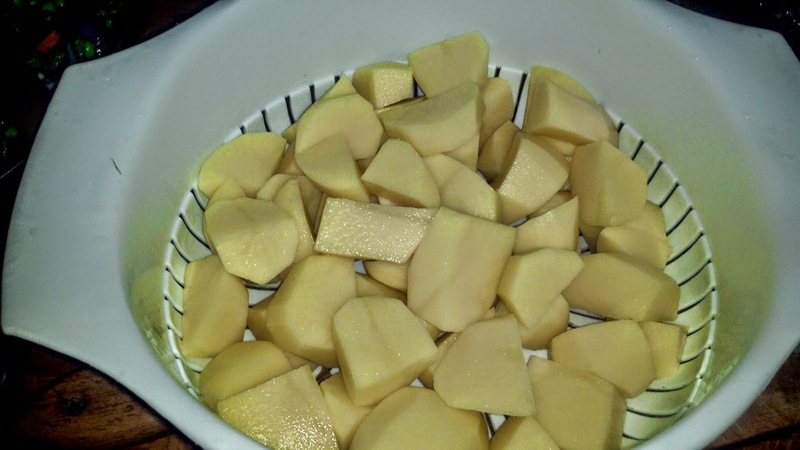 Quarter your potatoes, place in a colander and rinse with water. 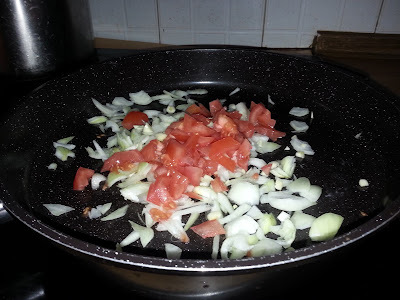 In a medium pan add your chopped up onions (or your fresh onion sprigs), garlic and tomatoes. Add olive oil and saute for about 5 minutes. 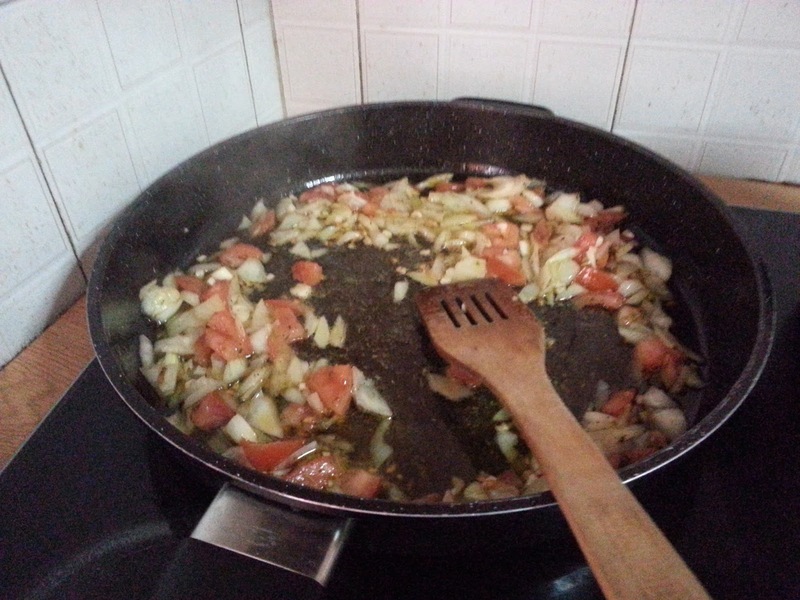 After you sauted your onions, garlic and tomatoes, add peas, parsley and dill, saute for another 5 minutes. Add your water set on medium heat and let cook for about 30 minutes. 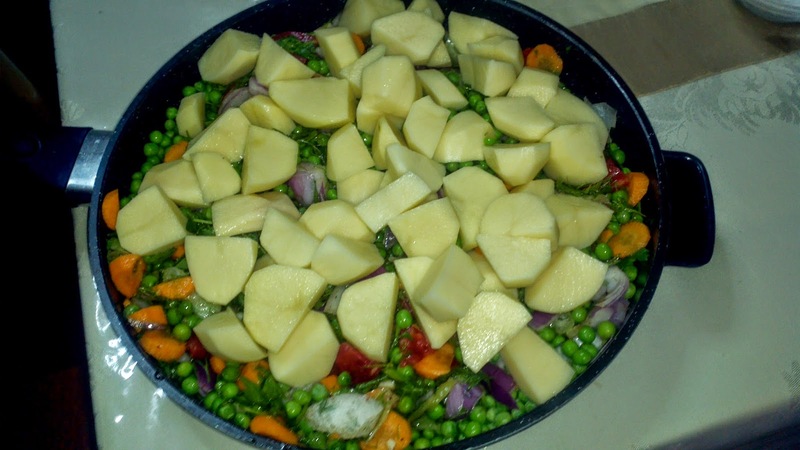 I usually cook it a little bit longer we like the peas and potatoes well cooked. When it starts to simmer add 2 tablespoons of tomato paste. 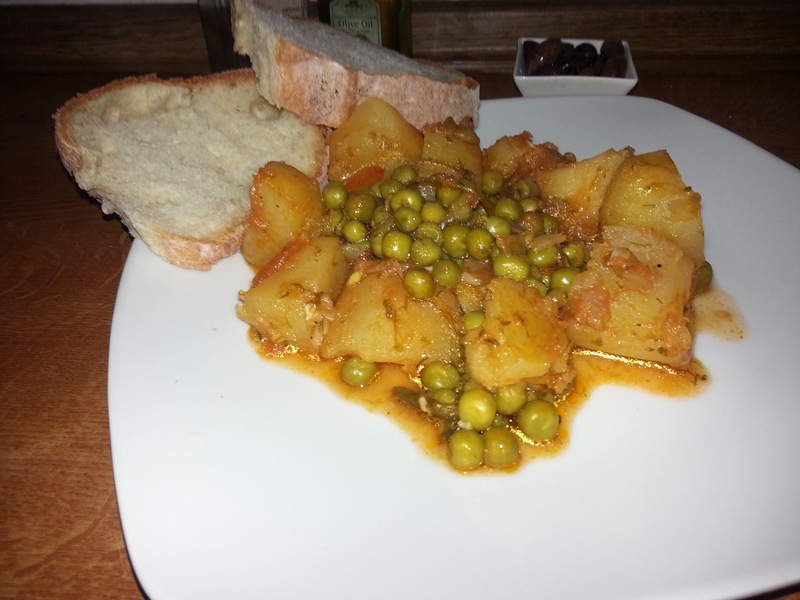 And your potatoes with peas a.k.a Arakas me Patates Kokkinistos is read to serve! Another great dish from my kitchen to yours. 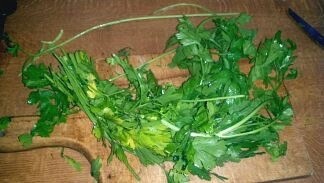 KALE OREXI!! I'm sure it will become a family favorite!